A map of the current hazard areas. 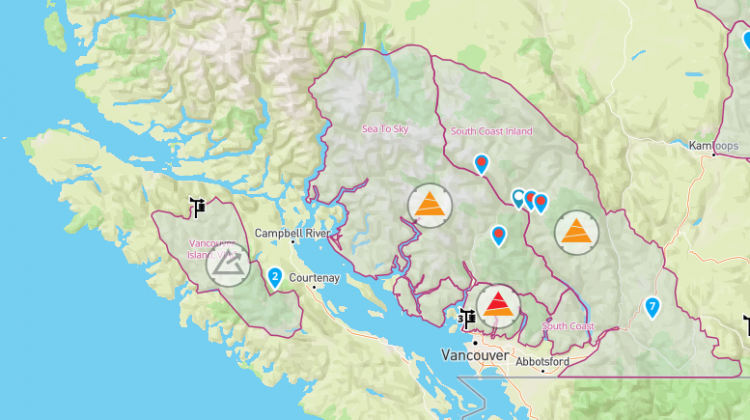 REVELSTOKE, B.C- Warm weather is bringing an elevated risk of avalanches across Western Canada this week. 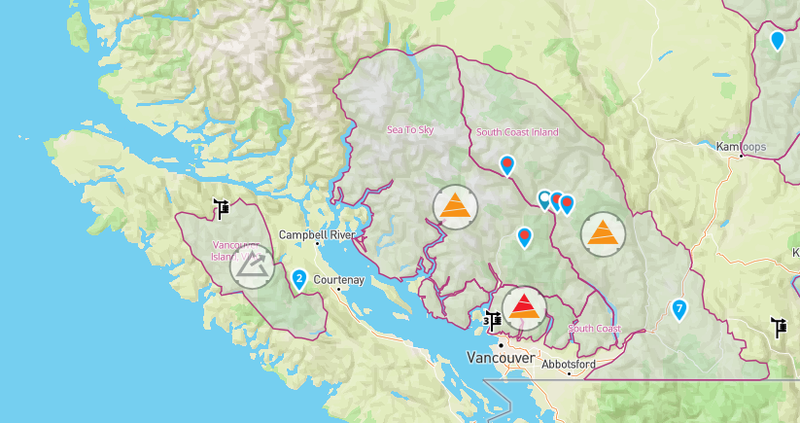 According to Avalanche Canada, the danger ratings for Monday through to Wednesday range from high to considerable danger, with the alpine and treeline ranging in high. Below treeline is in considerable danger for the next few days. The main concerns for both Vancouver Island and Sunshine Coast include cornice fall, wet slab, loose wet, deep persistent slab and persistent slab. “This is the first big warming to hit our snow pack, which is still fairly complex and winter-like.” says Senior Avalanche Forecaster Grant Helgeson. With spring break, it is expected to have a lot of people up in the mountains enjoying their holiday. If you are heading into the mountains be aware that the summer trails are exposed to the avalanches as well. “Any time the snow pack is hit with a big change, it tends to de-stabilize,” said Helgeson. Avalanche Canada, Parks Canada and Kananaskis Country is warning those to be careful and to track the forecasts at www.avalanche.ca. They recommend everyone going up should have a transceiver, probe and shovel.